Playmobil is currently our most played with toy. The girls especially love setting it all up, making the people talk to each other and even making their own play settings. As Playmobil ambassadors we were lucky enough to be sent some great new Playmobil to review. Little S received the Recycling Truck. The truck took me less than 10 minutes to assemble and I was very impressed with the little details and the usual high quality you expect from Playmobil. The truck comes with two workmen, two small dustbins and a large yellow dustbin. The lights on the top flash for three minutes when turned on, which is very cool for playing in the dark. 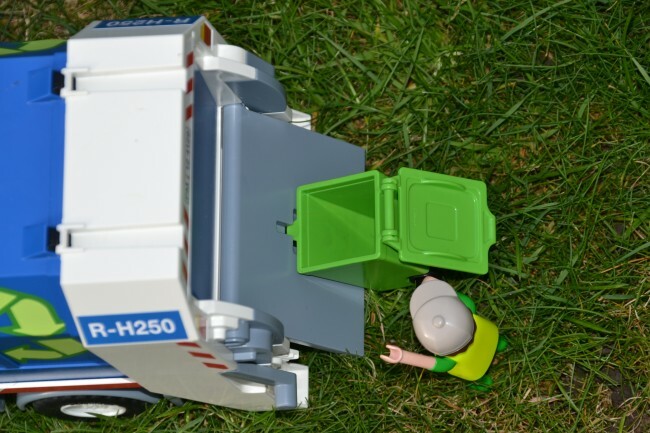 The rear of the truck has a bin lifting mechanism, the kids did find this a bit tricky at first, but once we worked out you need the lid open to attach the dustbin it’s been very easy. The roof of the cabin lifts out so drivers and passengers can be added. H decided one of her babies needed a ride with her Dad ( Baby not included ). The back of the truck has a panel in the top which can be lifted up, I quite often find ours full of other little people. All in all, this set is much loved already by all three of my children, and we would definitely recommend it. The Recycling Truck is £18.99 which I think is very reasonable. We’ve already had hours of play from this set. We received this set for the purpose of this review. 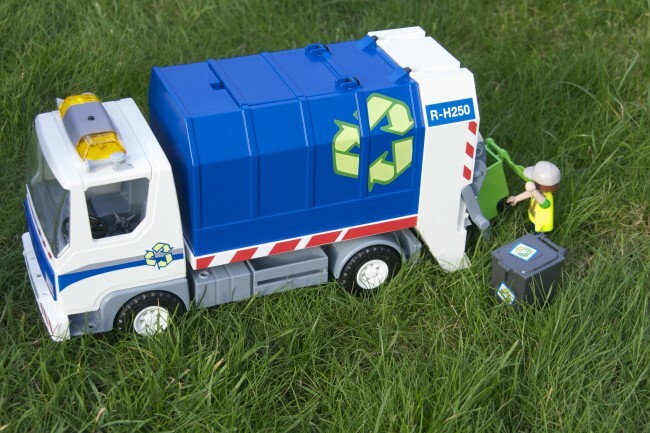 My son loves recycling trucks so would adore this. 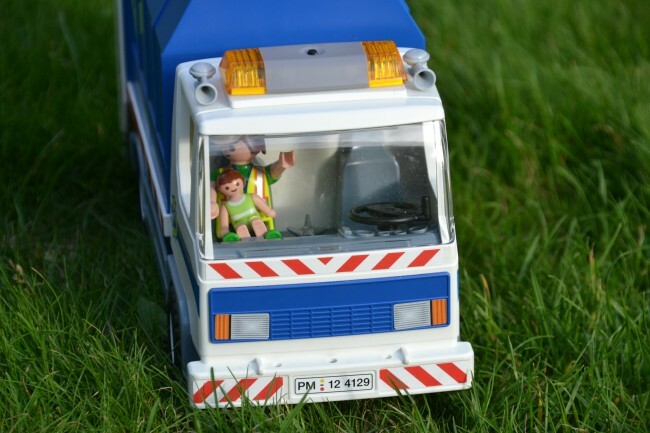 I love playmobil – it’s all the little details which make it so special. Great review Emma 🙂 so pleased it went down so well. When we went to the States a few years ago, T fell in love with a toy garbage truck that belonged to the family we were staying with, and we’ve never been able to find something similar but I think this should do the trick. I’ve been a bit disappointedly how hard it is to find Playmobil in Aus – it’s T’s favourite brand of toy by far, but so far we have only found one shop in town with a very limited selection. Think I’ll be doing a lot of online shopping pre-Christmas this year!